Armed with a wealth of experience from Israel, Gilad Millo is on a mission to make agribusiness appealing to the youth. Mr Millo, who is the head of business development at Amiran Kenya, has been at the centre of a campaign demonstrating how farming can be financially rewarding, just like any other profession that attracts the youth. “Farming shouldn’t be taken as a last resort. Its potential is enormous, especially if the youth have it as the first job on the line. We are introducing greenhouses in schools, youth polytechnics and groups as part of an initiative to develop the next generation of farmers; Facebook farmers,” he told Money. “The average age of the smallholder farmer in Kenya today is estimated at over 45 years. This means that in the next 20 years, a good number of them will have retired, yet the younger generation is not interested in farming,” Mr Millo noted. Although the greenhouse technology has already won the hearts of several corporates, donor agencies, the horticulture sector keen on the export market and non-governmental organisations fighting hunger, it was yet to get significant traction on the national scale, especially among the younger population, as it is now doing after catching the eye of the youth fund. Money follows the campaign to find out why thousands of young people are fighting to be on the shortlist of the 420 groups to receive smallholder farmers’ kits from Amiran Kenya; the benefits that the greenhouse concept presents; its challenges; what to look out for before sinking money in it; and why commercial banks and insurers are joining the fray. Under the first phase of the Sh150 million Agri-Vijana Loan project being implemented in partnership with the Youth Enterprise Development Fund, every constituency will get two greenhouse kits. A similar project is also underway, targeting 100 youth polytechnics across the country in the pilot phase. The entire project aims to install 600 kits. Almost every crop — from vegetables to flowers — can be grown under the greenhouse, but farmers must ensure that what they plant will have demand. “Many of our clients have chosen to grow tomatoes because it is a high yielding cash crop. But there are others who are growing capsicums (pilipili hoho, which come in orange, red and green colours). These fetch high prices in the market, about Sh320 per kilogramme. Some youth at the Coast are growing sweet melons and cherry tomatoes,” Mr Millo said. Farmers should also study how accessible the existing markets are for their produce because the goods are mainly perishable. The total cost of the Agri-Vijana farmers kit (AFK) is Sh358,344. 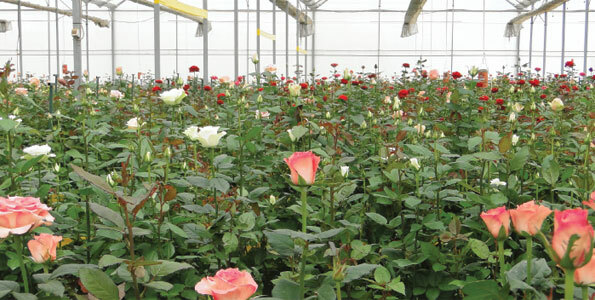 This includes two greenhouses, a drip irrigation system for the two greenhouses and a 400-metre open field, group training, agro support, insurance and eight per cent management fee. The loan has no interest fee, but the beneficiaries will be expected to raise 10 per cent of the initial cost. The pilot project shows that it takes between one and two seasons to break even and start making profit, depending on the crop. A season is six months long. A complete greenhouse kit also comes with a collapsible water tank, and insurance for the crop. “The kit also has an outside. You have the greenhouse growing cash crops but the outside, which is covered by drip irrigation for growing cabbages and sukuma wiki (kales) can provide additional income of about Sh100,000, depending on the crop,” Mr Millo said. According to Amiran farmers, an 8-by-15-metre kit fetches between Sh250,000 and Sh380,000 while a 8-by-24-metre greenhouse can make between Sh350,000 and Sh550,000, depending on the crop’s market. The fresh produce earnings put to shame crops like maize, where an acre produces an average of 15 bags which, at Sh2,800 per 90-kilogramme bag, fetch about Sh42,000 in a good season. “A women group in Kilifi that sold Sh120 per kilo of cherry tomatoes instead of the predicted Sh50 per kilogramme more than doubled our expected income calculations for them,” Mr Millo said. But farmers will have to part with between Sh150,000 to Sh250,000 to have the kits installed. A complete kit comes with a package of seeds, fertilizers, agrochemicals, and tailored training from Amiran’s agronomists. The model farms are equipped with drip irrigation systems which feed water directly to the plant. The system is timed to drip only the needed water, cutting wastage to the bare minimum. Data from the youth fund shows that 264 youth groups have already applied for financing, laying claim to Sh93.6 million out of the Sh150 million up for grabs.